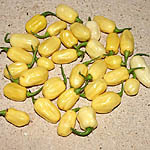 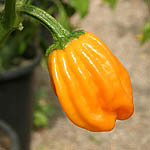 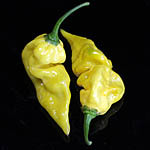 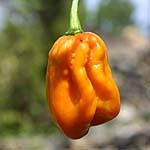 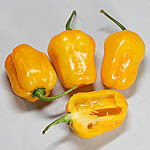 Aji Chombo Aji chombo is a very hot Habanero variety from Panama, Capsicum chinense. 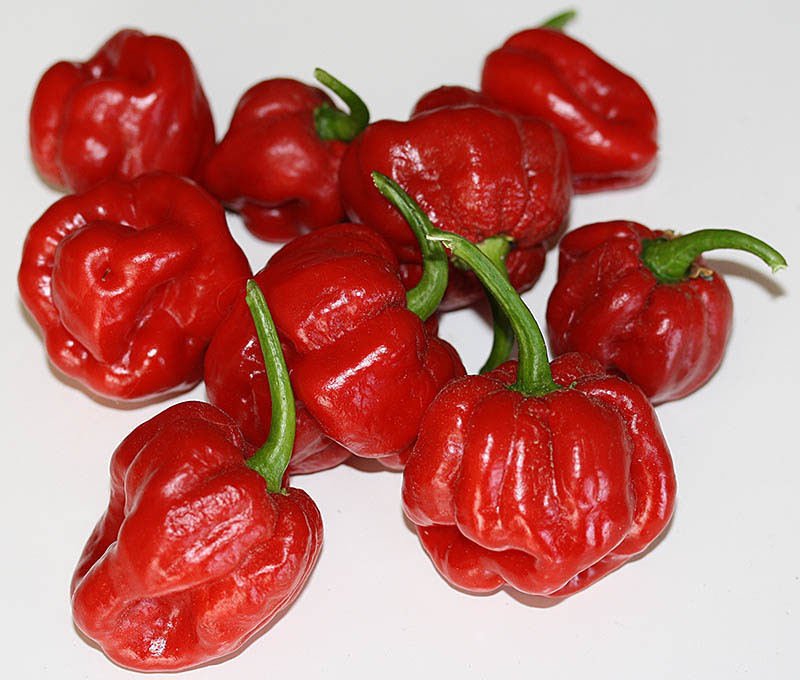 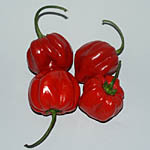 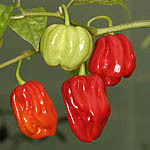 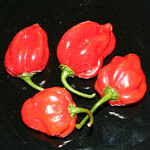 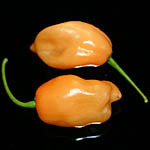 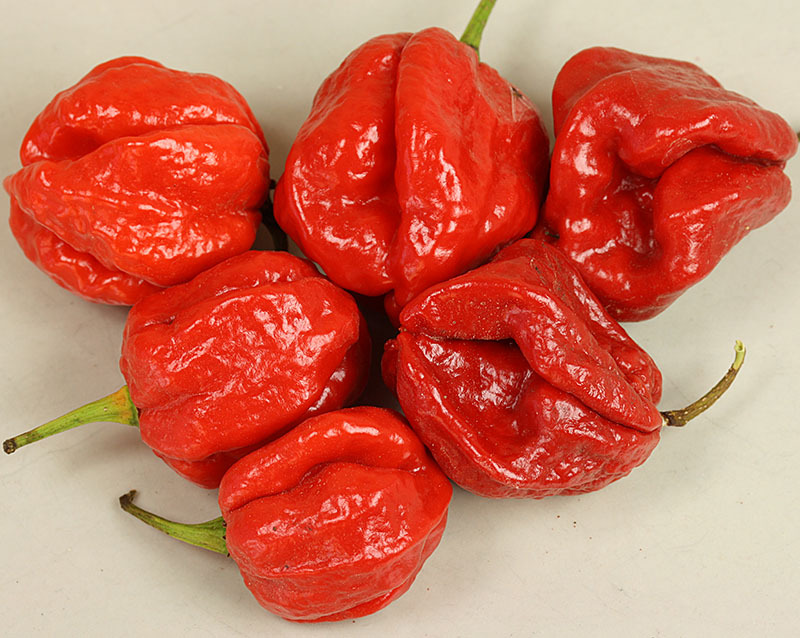 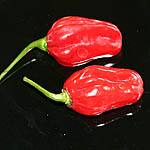 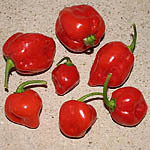 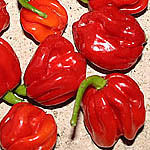 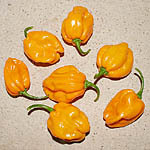 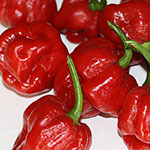 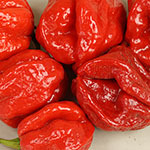 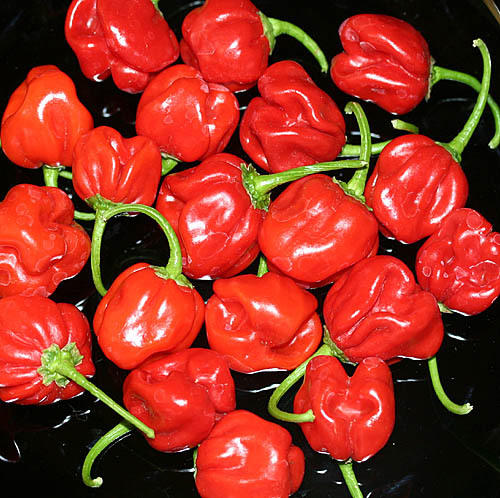 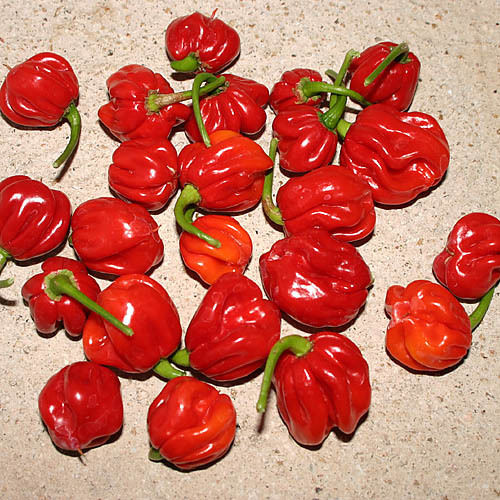 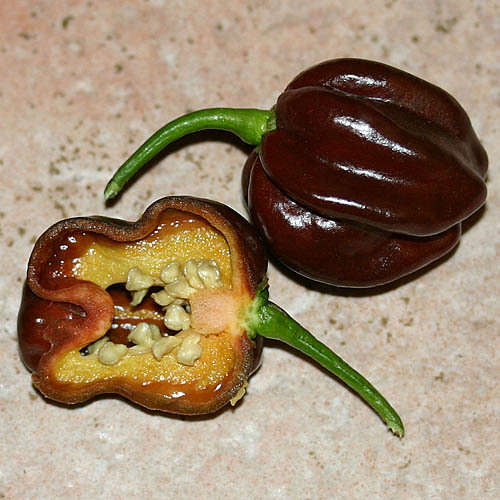 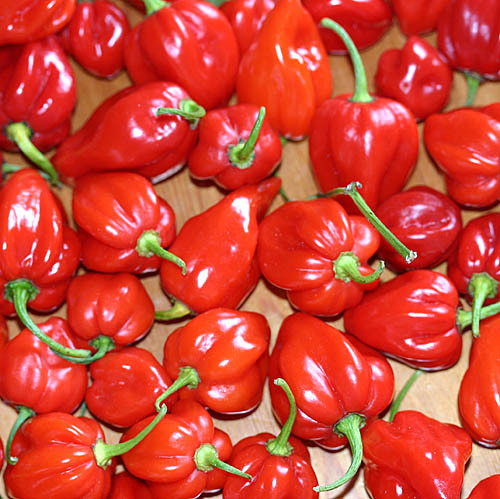 Aji Umba Red Habanero from Surinam with large and very hot pods. 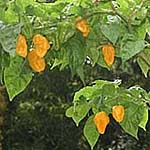 Locally known as Ojemma or Adjumba. 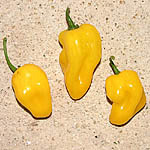 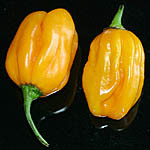 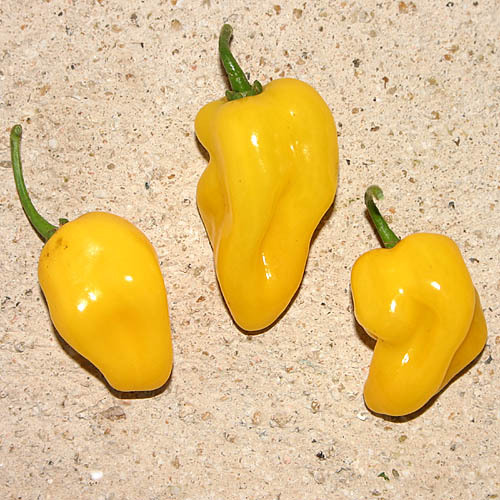 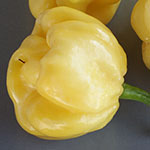 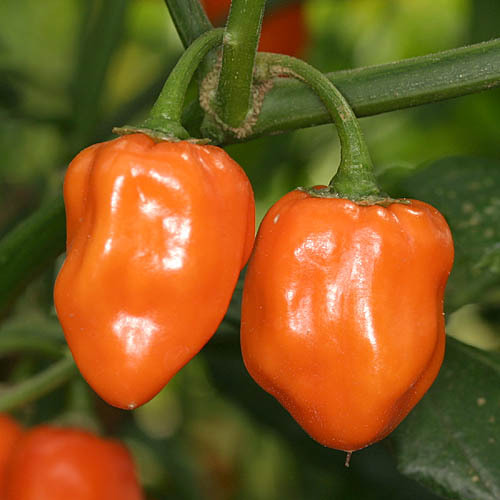 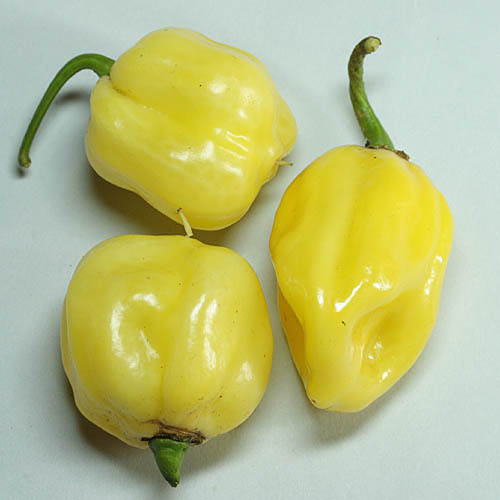 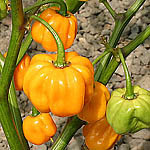 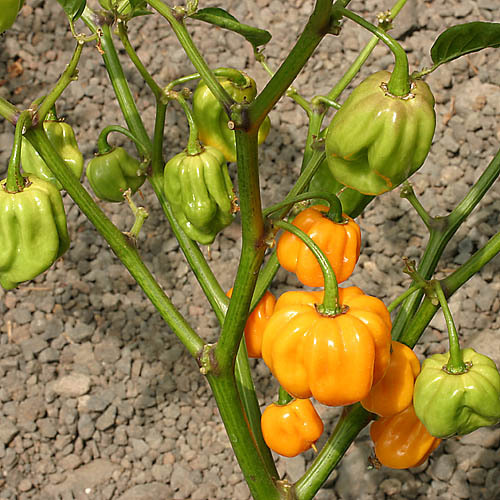 Antillais Carribbean Habanero Very popular Habanero type Capsicum chinense variety from the Caribbean Islands. 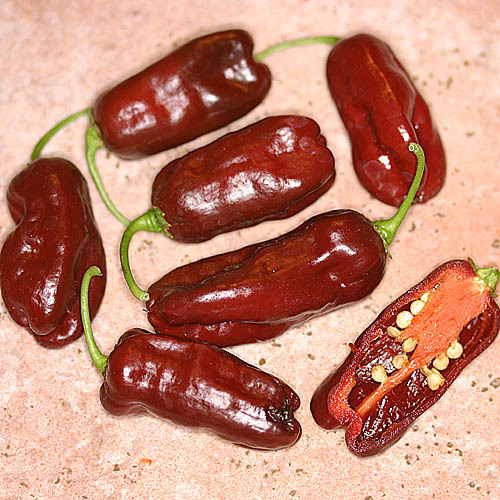 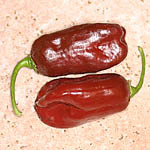 Dark red wrinkled pods are very hot and develop an excellent taste. 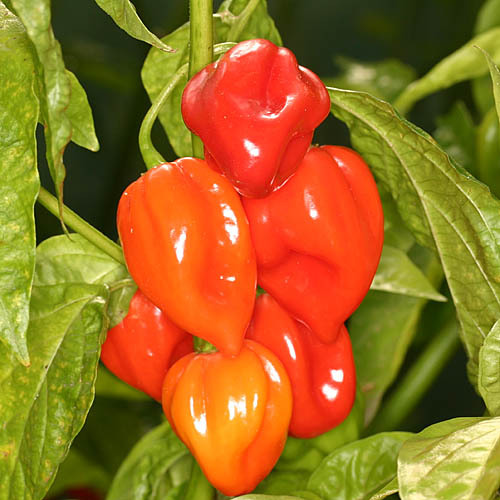 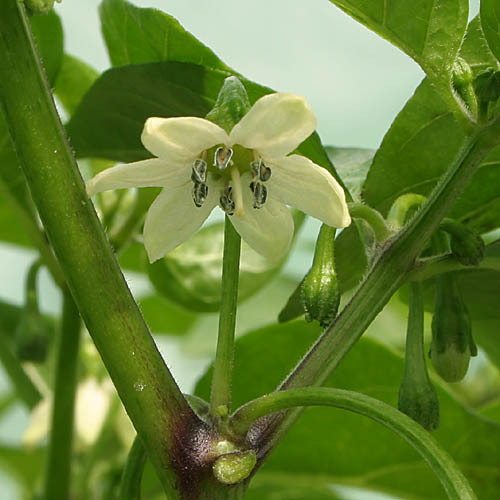 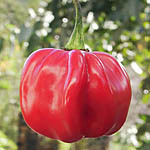 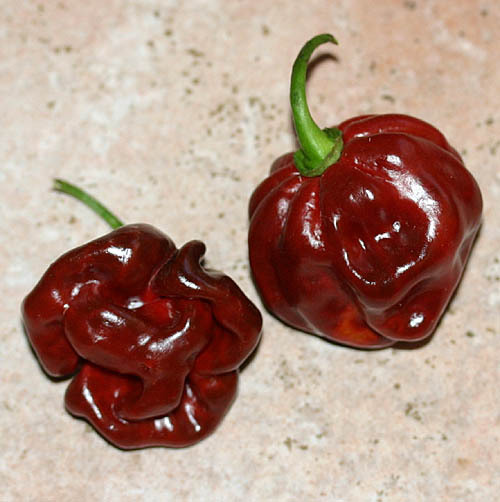 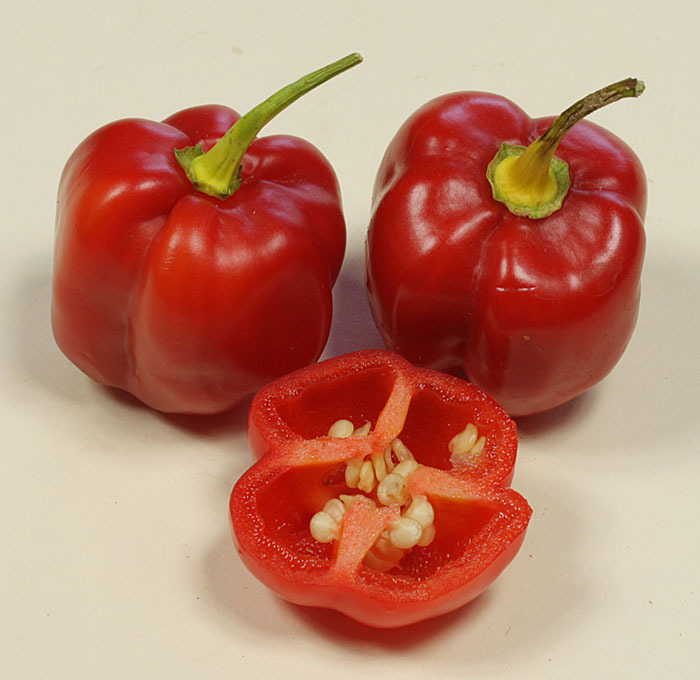 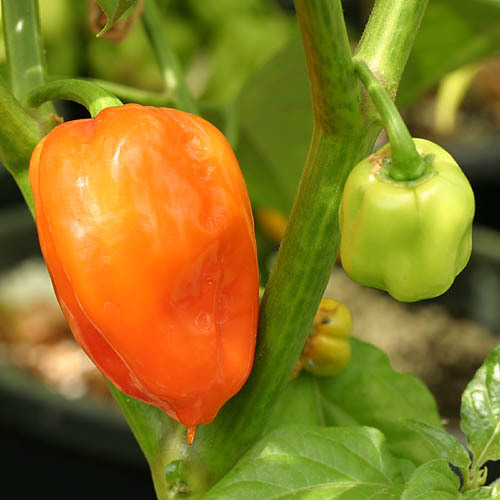 Avenir Superhot Capsicum chinense variety from Africa. 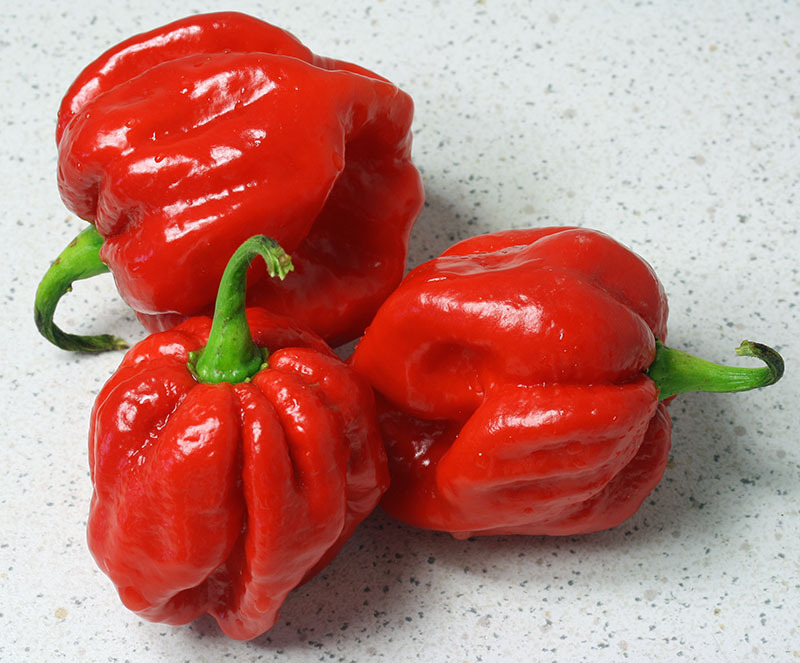 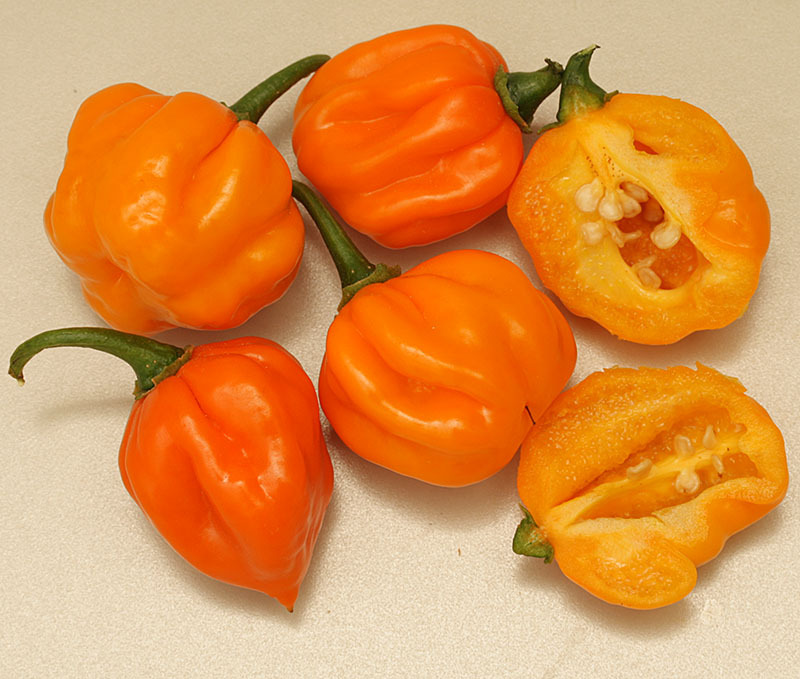 Strongly wrinkled pods of Habanero / Scotch Bonnet type turn to orange-red upon ripening and have a very good taste. 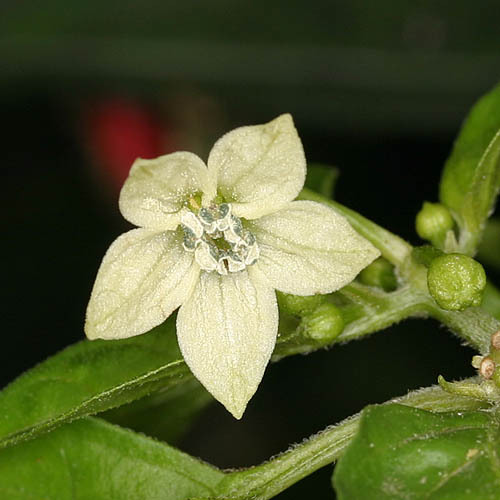 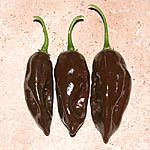 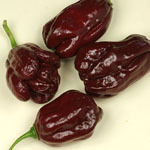 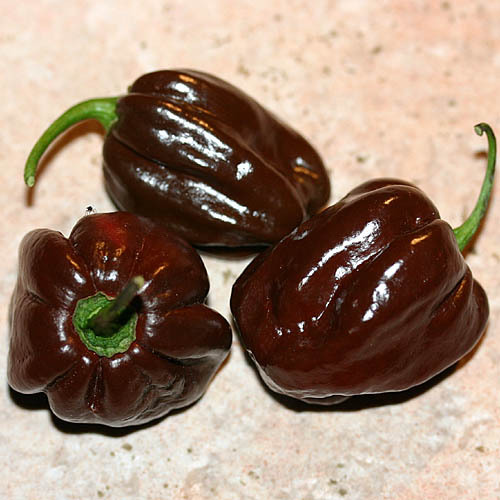 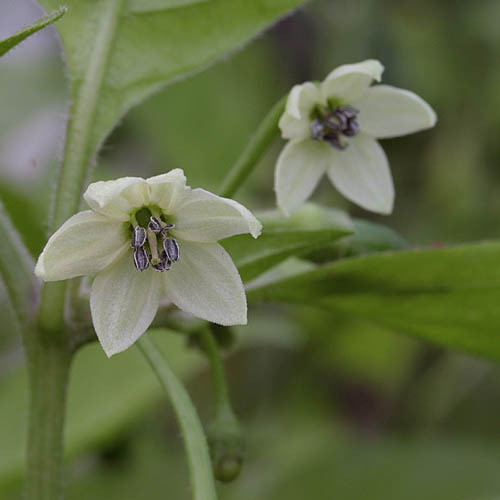 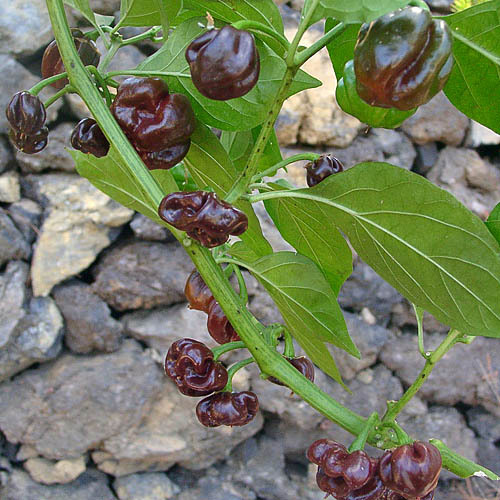 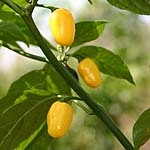 Black Habanero Recently developed variety, introduced by Semillas La Palma in 2008. 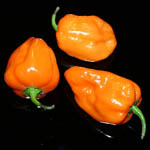 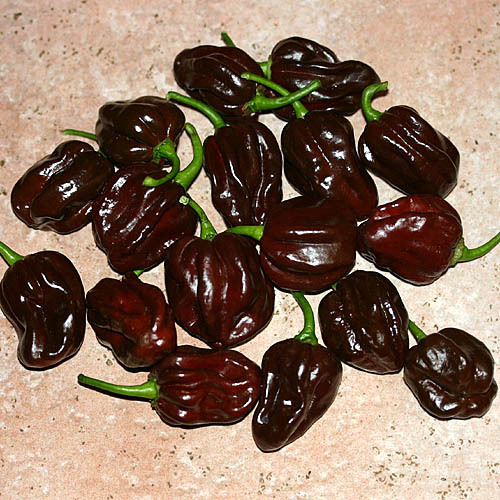 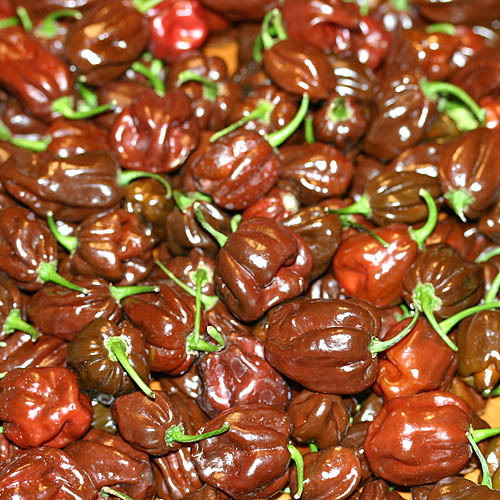 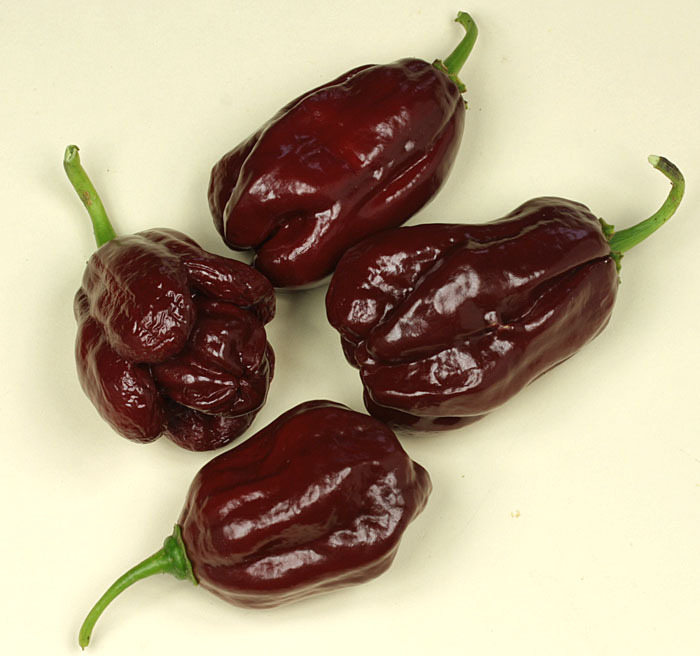 Very hot Habanero variety (Caosicum chinense), selected from a crossing of Purple Habanero with Chocolate Habanero Long. 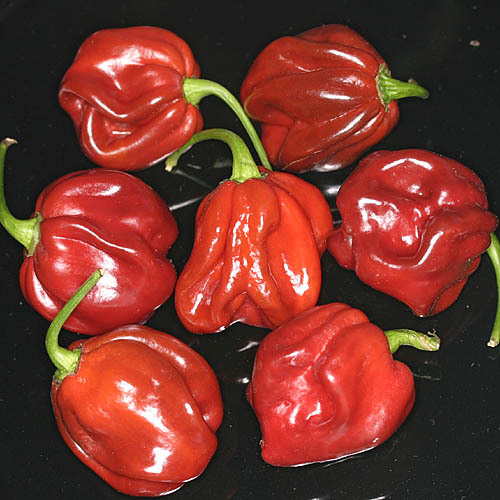 Very aromatic pods. Chocolate Habanero Long Prolific Capsicum chinense variety with very hot, elongated pods, ripening from dark green to dark brown. 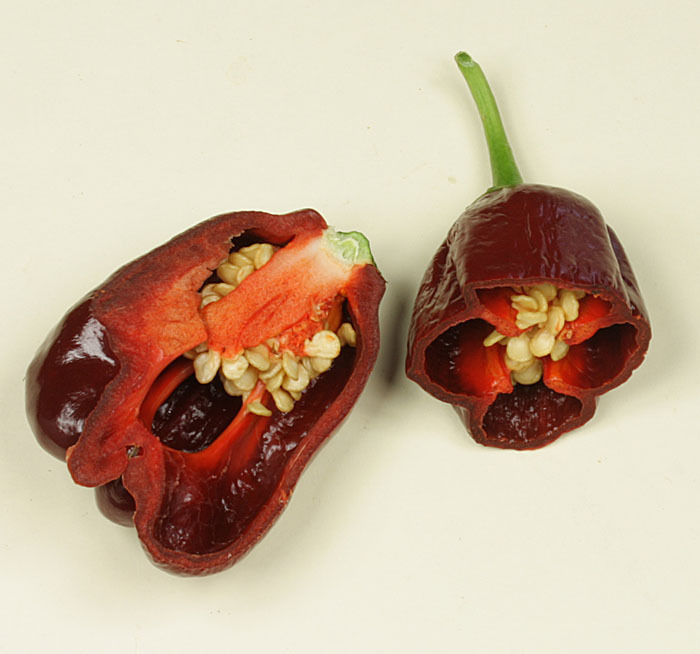 Fully ripe, the pods turn red inside. 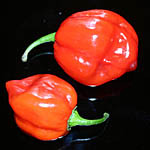 Congo Trinidad Congo is a red, very hot Habanero type variety from the Caribbean Islands (Capsicum chinense). 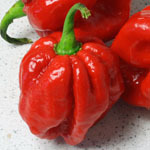 Very good flavor. 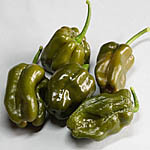 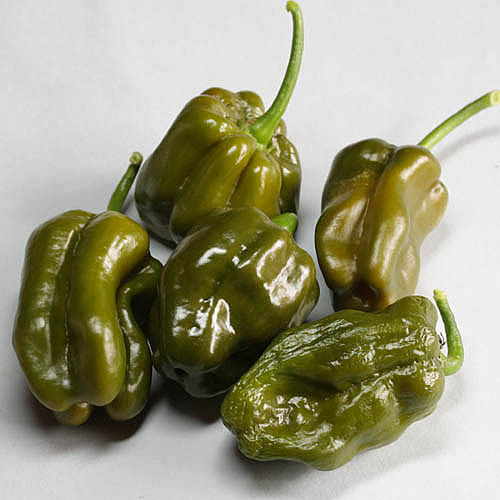 Green Habanero We selected this variety from a cross of Habanero Herold St Barths with a brown Habanero. 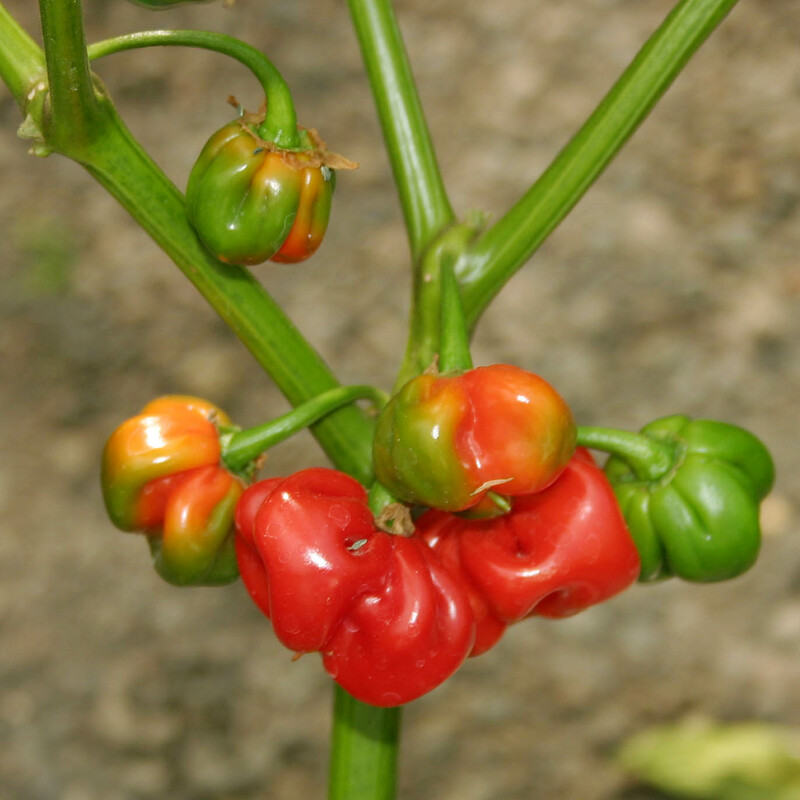 This is the only known very hot Capsicum chinense variety with pods that remain green upon maturing. 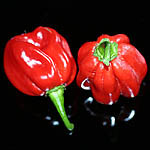 Stable after several generations with a very good taste. 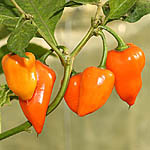 NuMex Suave Orange Very strong plants with large leaves (Capsicum chinense). 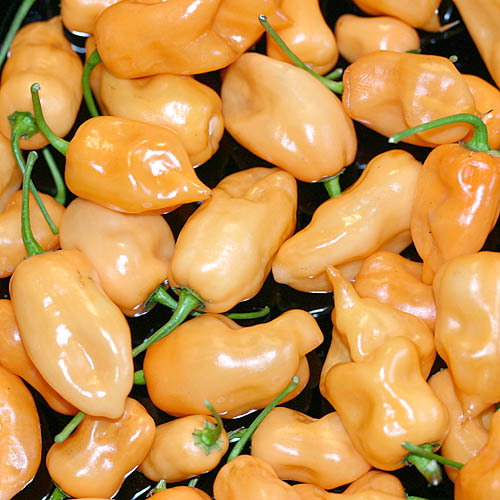 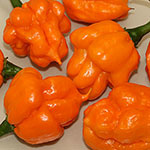 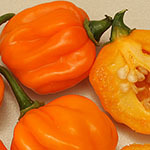 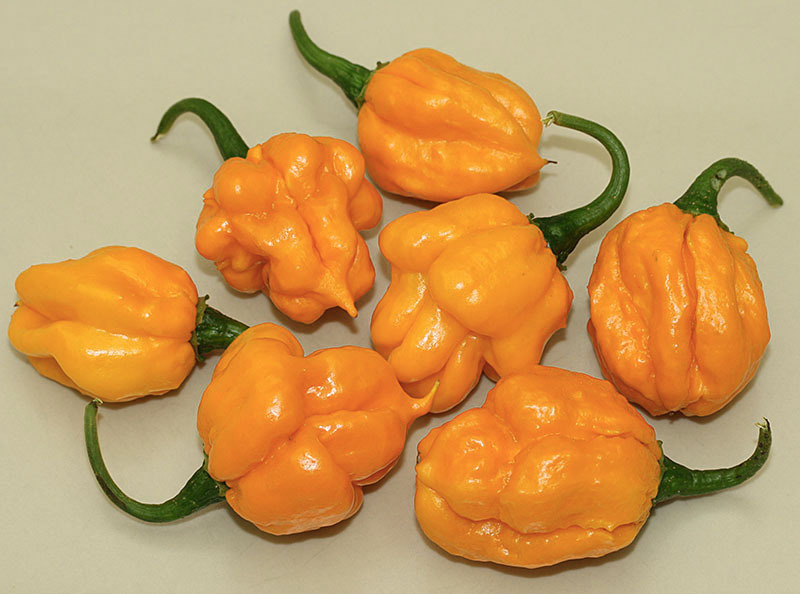 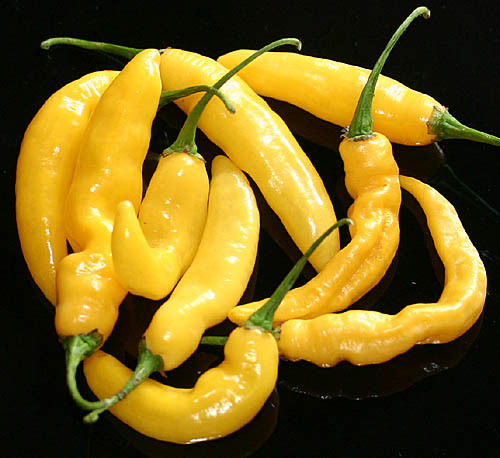 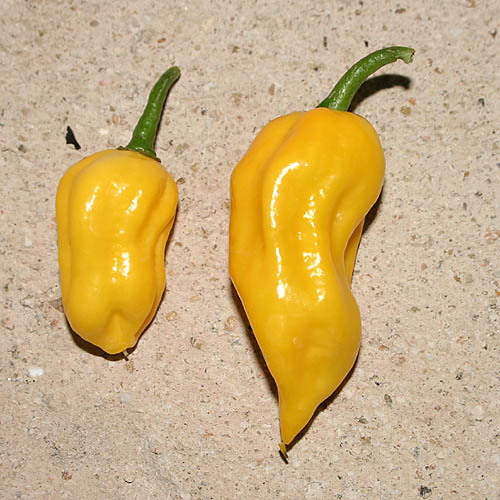 Their large Habanero-pods are barely hot but, nevertheless, have a delicious flavour. 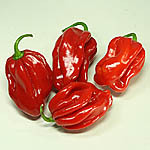 NuMex Suave Red Sturdy and high growing plants, which have been developed by New Mexico University�s Chile Pepper Institute. 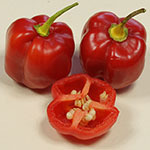 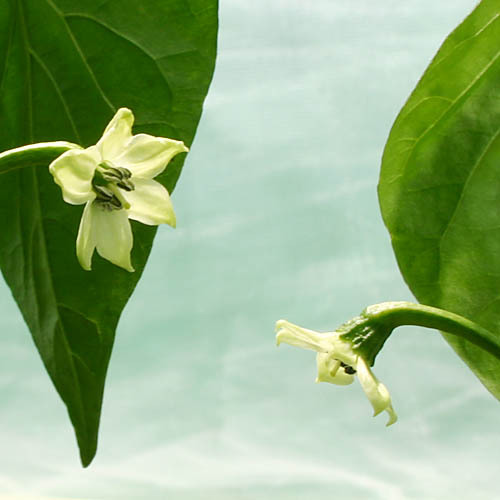 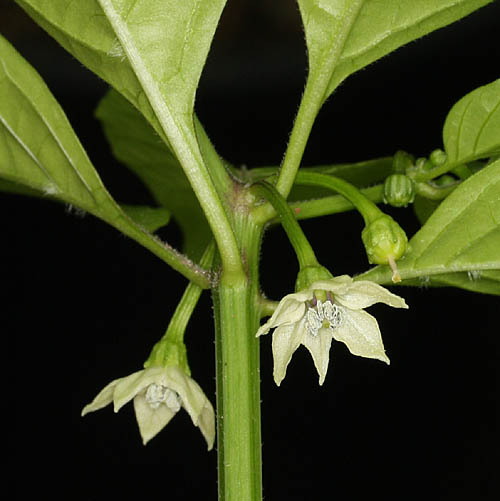 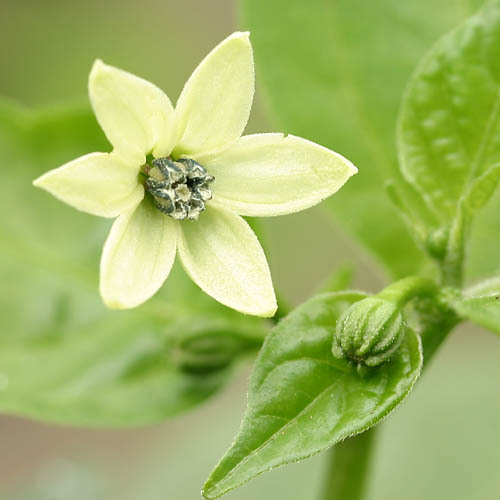 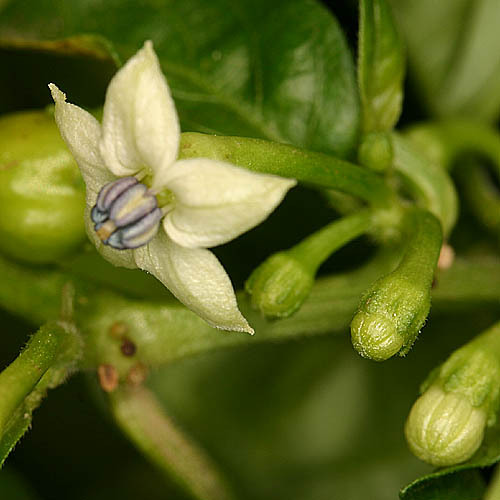 This Capsicum chinense variety is not that gentle as someone might deduce from its name. 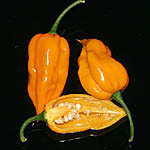 It definetely has got some heat, but not that strong as we know it from Habaneros. 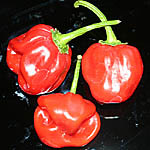 High yields! 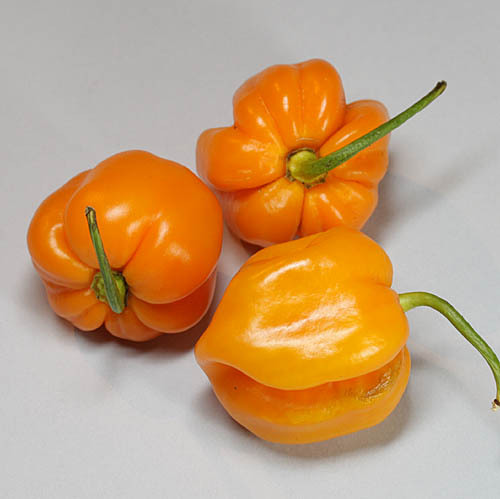 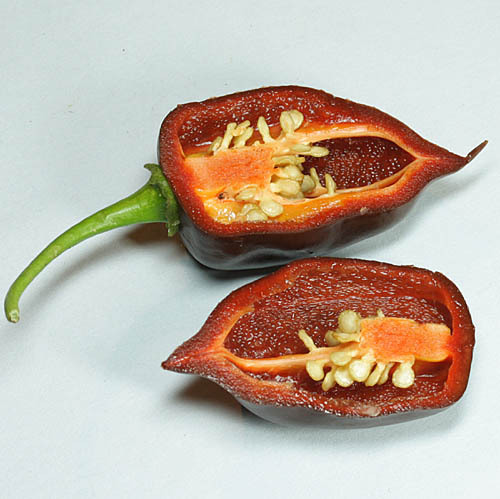 Petenero Petenero is a Capsicum chinense variety from Guatemala which is similar to Orange Habanero. 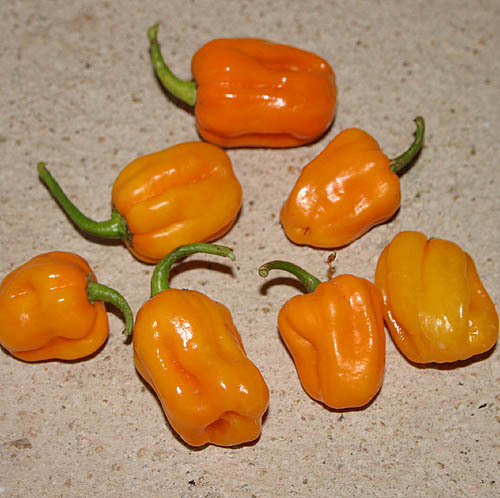 Their small corrugated fruits have a nice flavour and intense Habanero heat. 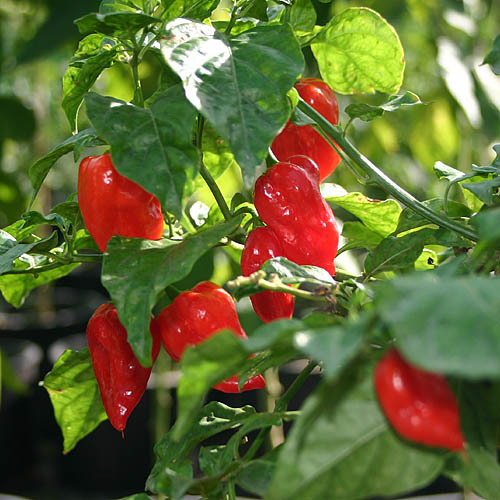 They grow on strong, medium sized and widely branched plants with high yields. Pimiento Africano Very hot Habanero variety (Capsicum chinense) from Africa. 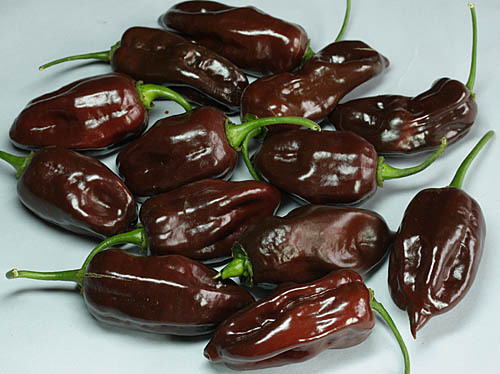 Longish, strongly corrugated pods are turning into purple-red when matured and have a tasty flavour. Roatan Pumpkin Habanero Strongly corrugated orange-yellow Habanero (Capsicum chinense) from the Isle of Roat�n, Honduras. 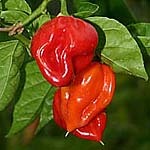 Very hot with a nice flavour.